Our range of products include Pneumatic System And Workshop Automation such as Laying and Installing Gi Pneumatic Piping, Pneumatic System, GI Threaded Compressed Air Pipeline, Compressed Air Piping, Laying Compressed Air Pipe Line, Laying and Installing Composite Piping and many more items. We are the leading and prominent Manufacturer and Service Provider of Laying GI Threaded Piping. Professionals do proper meeting with clients and offer Pipe Laying Services. This laying service is provided to patrons at genuine price. Experts use best quality pipe for laying service and finish the task in effective way by taking lesser time. 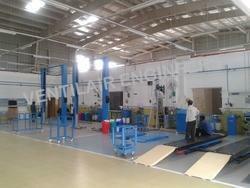 Our services in the genre of Laying Compressed Air Pipe Line. 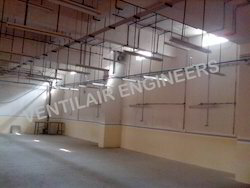 With years of experience in this domain, we are providing our clients with superior grade Pneumatic Piping Design Service. Our proficient professionals offer this pipe on design to our clients by using advanced technology in adherence with industry standards. Illustrious for their client centric approach and cost effectiveness, this design service is rendered in varied places. Moreover, clients can avail this design service from us in diversified specifications at pocket friendly prices. We are offering Industrial Pneumatic System. 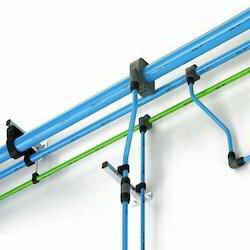 We are offering Laying and Installing Air Distribution Pipe Line. We are offering GI Threaded Compressed Air Pipeline.